Milwaukee – Oct. 28, 2014 – Advanced Technology International® (ATI), a leading manufacturer of U.S. made firearm accessories, will now be carried in select MC Sports stores throughout the Midwest. MC Sports will now be carrying various items from ATI’s innovative line of firearm accessories in select stores located in Michigan, Illinois, Iowa, and Indiana. First shipments of ATI product will lean towards the tactical or home defense modification side of the company’s product line. Early shipments from ATI to MC Sports will include firearms accessories for brands like Ruger, Remington, and Mossberg as well as broad rifle platforms such as the AR-15. Shaffer later added that ATI has had a strong focus on increasing its retail presence annually with ATI products now stocked in over 7,000 stores nationwide. To view ATI’s complete product line visit www.atigunstocks.com, and for further information regarding MC Sports, visit the sporting goods retailer in-store or online at www.mcsports.com. All of ATI’s products are manufactured in the USA at our ISO Compliant Facilities in Wisconsin. ATI’s vertically integrated manufacturing plant includes departments ranging from molding and CNC machining to assembly and packaging. Beyond manufacturing ATI also features its own in-house engineering, product design, and graphics teams as well as a full-time inside and outside sales staff. 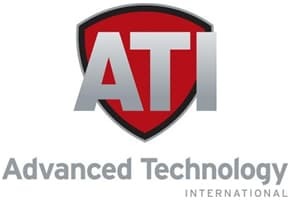 For additional information about ATI please visit www.atigunstocks.com or call 800.925.2522. Built on a foundation of customer service, MC Sports has been outfitting athletes with authentic, brand name sports equipment, footwear, and apparel since 1946. Based in Grand Rapids, Michigan, the company operates 80 stores throughout the Midwest and is one of the few remaining privately held sporting goods chains in the industry. To find out more about MC Sports, please call 1-888-801-9159 or visit www.mcsports.com.